Rossland, B.C. is definitely a place I need to go and ride…one of these days. 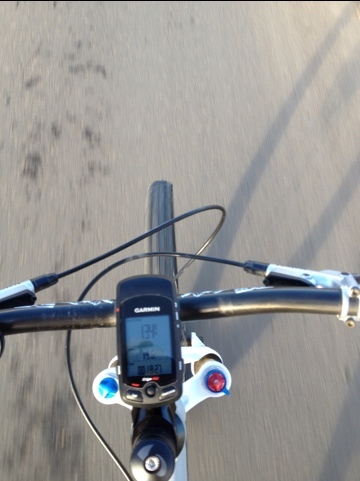 Here is a promo video from Kona hyping their 29er platform via Barry Wicks. They filmed this short video on the Seven Summits Trail. Looks pretty rad! I’m really stoked to see that Geoff has landed a pretty sweet team for 2012 and beyond. Team manager Kyle Douglas has done an awesome job growing his MTB team into it’s current form Scott – 3Rox Racing! I’ve been working with Kabush for 2 years now the Race Clean Own Your Victory clean sport campaign (we’re still working on Race Clean) and he is one of the most passionate people about the sport of Mountain Biking that I know. He loves riding his bike just as much as you and I: he’s just been talented enough, dedicated enough, and FAST enough to make MTB racing his living! I’m really happy to see that he will have the support he needs to reach the highest level of the sport. Congrats to Geoff, Kyle, & the whole 3Rox Racing crew for truly turning it up a couple of notches for 2012. 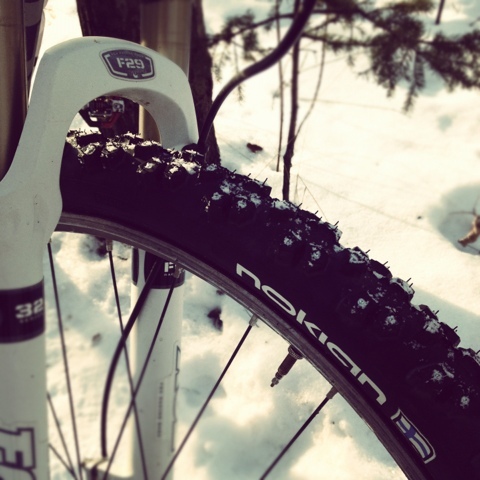 I tested out my new winter tires today…almost perfect conditions for the new studs. Icy trails felt like velcro with these bad boys. Something I’ll need if I’m going to commute to work all year round from the new place. There is still some dry pavement to be had. 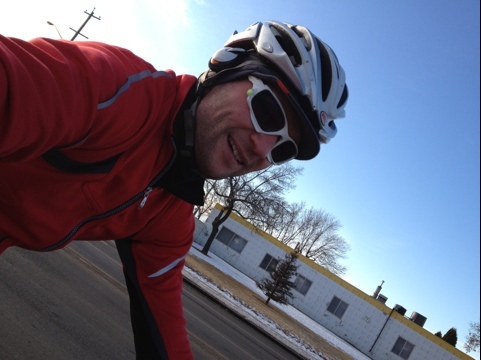 Happy to be out in the fresh air and Edmonton winter blue sky. SRI IMPORTING VINER promo video from Sheldon Smart on Vimeo.